We have a lot to thank Scandinavia for when it comes to design. Sweden gave us Acne Studios, H&M, COS and IKEA. Denmark brought us Ganni, Stine Goya, Day Birger et Mikkelsen… the list goes on and on. But alongside an appreciation for the region's retail highlights, we have to admit that every time Copenhagen or Stockholm hosts a fashion week, we can't wait to see what its attendees will be wearing. 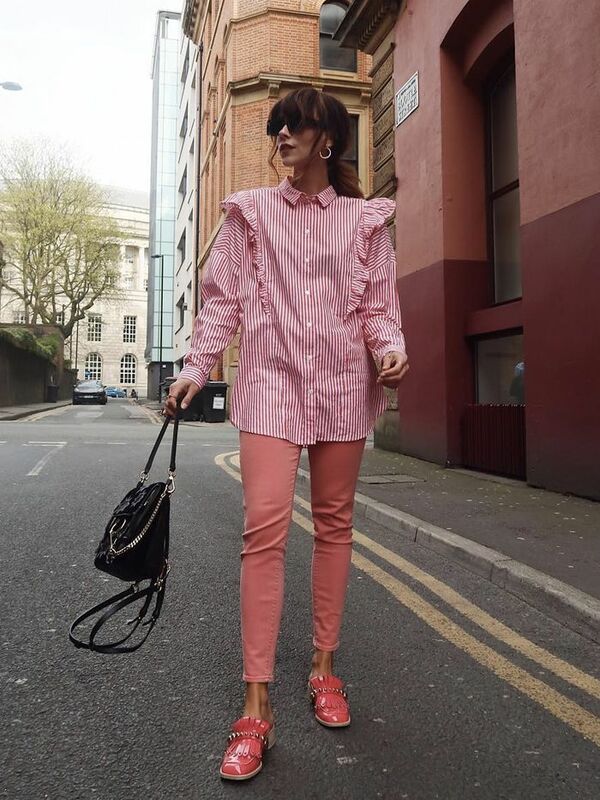 Because rather than being characterised by the minimalistic styling that this area of northern Europe is renowned for, its snappiest dressers throw together the most eclectic of outfits. Sure, the people whose style we love to watch like to champion homegrown labels, but they're happy to throw a little Balenciaga into the mix too. They're not afraid of directional accessories and new silhouettes, making their looks some of the most inspiring out there. What's great is that thanks to these girls being prolific Instagrammers, there's no requirement to wait six months for inspiration from their catwalk show circuit. With this in mind, we've tracked down some key formulas to inspire your next look. Scroll down for a slice of Scandi outfit excellence. Scandi style rules decree that there are no rules. Trine Kjær mixes clashing florals with natural footwear and a colourful mini bag for a look that's refreshingly eclectic. Why is it that when Scandinavians like Annabel Rosendahl embrace logo bum bags and statement sunglasses, they don't look ridiculous? Maybe it's their devotion to an aesthetic, going the whole-hog with this season's must-have shorts and leopard accents for good measure. Make this more autumn-friendly with the simple addition of jeans. Pernille Teisbaek has that typically pared-back Danish minimalist style down to a tee. But that doesn't mean her look is predictable or boring. Tactile fabrics like cashmere and silk make it a textural feast for the eyes (and skin). We're loving Nnenna Echem in this Stine Goya gown and fabulous tonal jacket. Make this your modus operandi by throwing on even the most occasion-worthy dresses with chunky trainers. Doing this will ensure that they enjoy a new lease on life. The Swedes and Danes don't bypass textures, so nor should you. Vinyl is an easy shortcut to add a high-gloss twist to your look (quite literally). We're not talking about how many jumpers you can get under your parka. We're referring to the nonchalant school of Scandi dressing where layers are artfully (but not bulkily) piled on. Katarina Petrovic's COS poncho is a piece that's elegant and wonderfully versatile. Jeanette Madsen and a couple of other girls have confirmed this unlikely microtrend: pink boilersuits. This one is (of course, who else?) from Ganni. Style it in an elegant way with posh shoes and a little bag. Next, see our guide to the best shoes to buy now.